KillSwitch maintains a log of threats and the actions taken against them. Logs can be configured in 'Options' > 'Threats Logging Level'. The logs are stored as date stamped text files in the folder .../CCE/Data/KillSwitchKs/Logs. 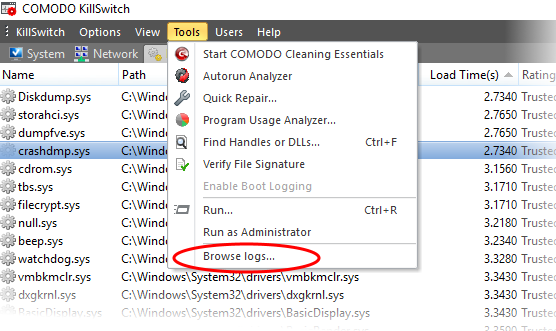 The logs folder will open in Windows Explorer. Double click on the file you wish to view.